From polka dots to stripes, 2016 spring trends will make you addicted to men’s fashion. Yes, I said addicted! This year’s men’s style has evolved into something so cool I find myself wanting to copy their ‘swag’. Wait. Do they still say ‘swag’ anymore? Haha. Stripes & Polka dots & Plaids OH MY! 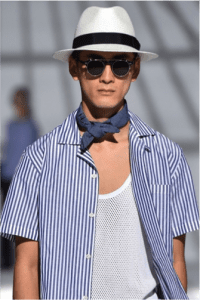 Stripes have always been a summer classic, but this Spring it is definitely the trend to work into your wardrobe, whether it be a simple striped tee or your classic button down, this is a must have in your closet this season! Not only are stripes a fav this season but polka dots & plaids as well. Choose pastel colors or darker shades; whatever may fit your mood and pair with your favorite chino shorts in a bold color. 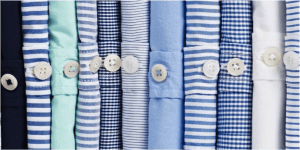 The hottest brand out right now is Tailor Byrd where you can find array of styles and colors from polo’s, button downs to chinos and shorts. Spotted on the runway; designers like Prada and Gucci brought back short shorts in a range of colors which is great for spring/summer weather. 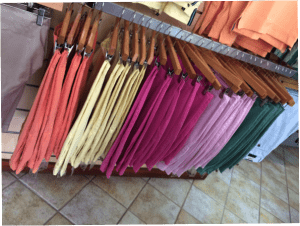 It might be stretch to get you men in shorter shorts lol, but whatever you choose opt for bright colors and pair it with a simple tee or for those feeling a bit preppy you favorite button down shirt. 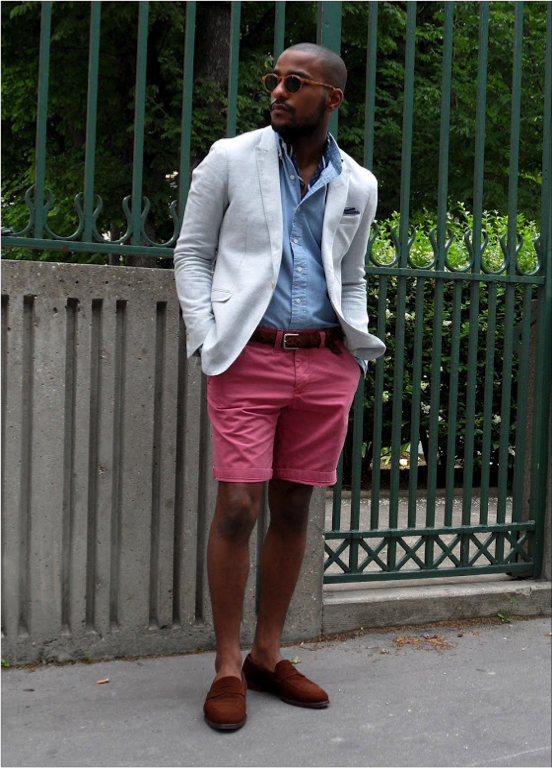 PS: A simple quick trick: If you want to achieve a shorter look just cuff the bottom of your shorts. Chinos have been a hit last year spring/summer and this year is no different. 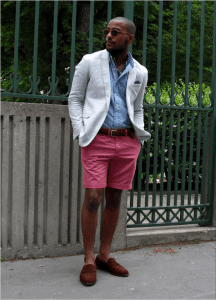 This style is effortless and great for any occasion whether you’re at work or going to happy hour to grab a few drinks with the guys. 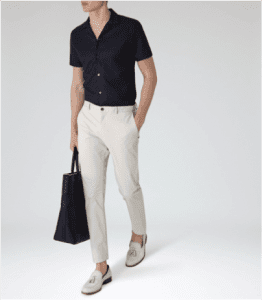 However, white chinos are the perfect look for spring its cool clean and crisp. 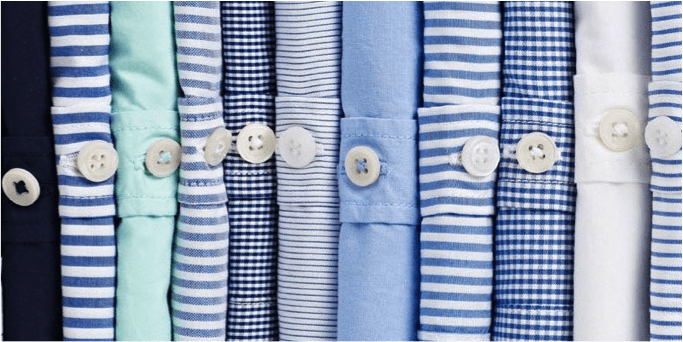 If you’re daring enough pair your white chinos with a white tee or button up or choose shades of gray and green, if you going for a more fun look go for stripes and polka-dots for the perfect spring look. 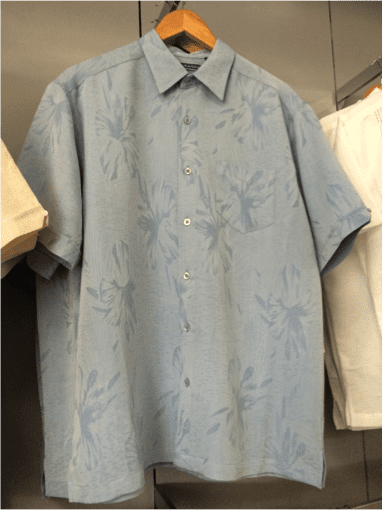 I call it the dad shirt because this style is something our fathers and grandfathers couldn’t get enough of in the 1950’s. Straight off the runway… Cuban-collar shirts are back and I’m all for it! 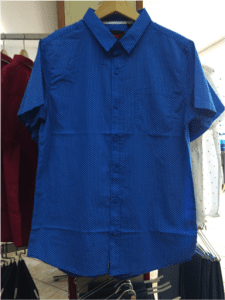 If you’re a trendy guy this is something you definitely want to incorporate in your wardrobe this season. Spotted during fashion week designers such as Louis Vuitton and Raf Simmons had their models strut the runway wearing this hot trend. The Cuban collared short-sleeved shirt is the ideal choice to up your fashion game. Yes, guys I’m talking to you! 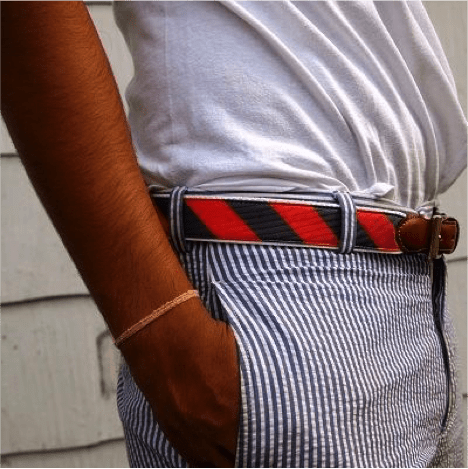 Try the fitted version, perhaps paired with a tailored pair of chinos to keep the look modern. This entry was posted in FT STYLES, What's Trending and tagged Spring.